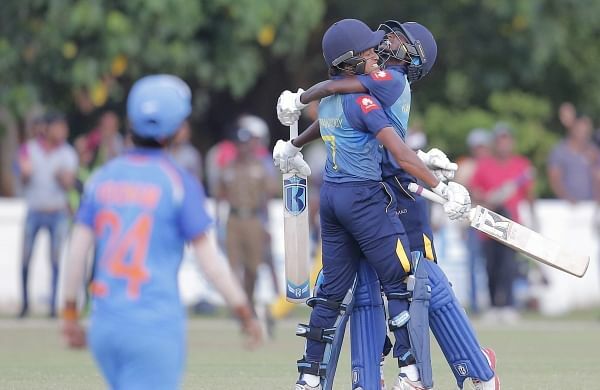 New Indian Express – COLOMBO: At least five Indian nationals were Sunday asked by the Sri Lanka Cricket authorities to leave the Katunayake ground near here for suspected behaviour during the third and final ODI between Sri Lanka Women and India Women. COLOMBO: At least five Indian nationals were Sunday asked by the Sri Lanka Cricket authorities to leave the Katunayake ground near here for suspected behaviour during the third and final ODI between Sri Lanka Women and India Women. “They were seen talking on their mobile phones throughout the match. Sri Lanka won the high scoring final match by three wickets in the final over of the match, leaving India the series winner by 2-1. The ODIs were a part of the ICC’s Women’s Championships which will determine the three automatic qualifiers for the 2021 Women’s World Cup. Last month, several suspicious Indian and Pakistani nationals were similarly asked to leave the venues of the domestic T20 competition.